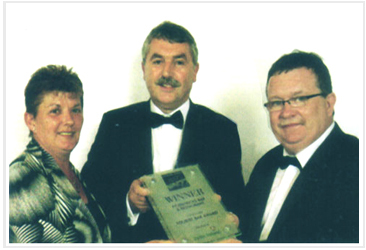 The Fáilte Ireland Tourist Bar Award. Every year, millions of overseas visitors travel to Ireland with tourism playing a major role in the employment sector, contributing billions in revenue earnings. With visitors increasingly searching for an authentic Irish experience, the Irish pub is seen by Fáilte Ireland as the essential component in the overall success of the Irish tourism product. This award recognises the important role bars the length and breadth of the country play in promoting the Irish tourism product and only the very best were included in every entry.